With just some card, paints, glue and paper, you can set your imagination free! 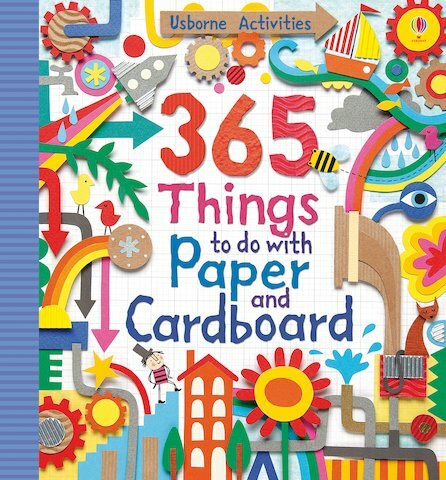 This bumper book has 365 irresistible craft projects for every day of the year, including a 3D cardboard city, loo roll mice, foil birds, sweet wrapper bugs and many more. 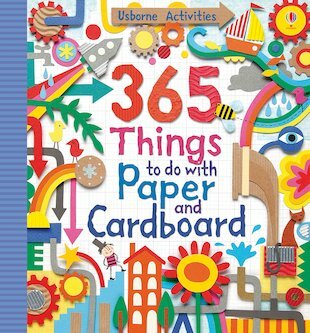 Brimming with inspiration, it’s packed with clever ways to turn everyday household materials into amazing artworks: cardboard box monsters, tissue paper flowers, robot pictures, windy tree collages, fashion cutouts, paper butterflies… Each project is vividly illustrated in bright colour, with easy step-by-step instructions.